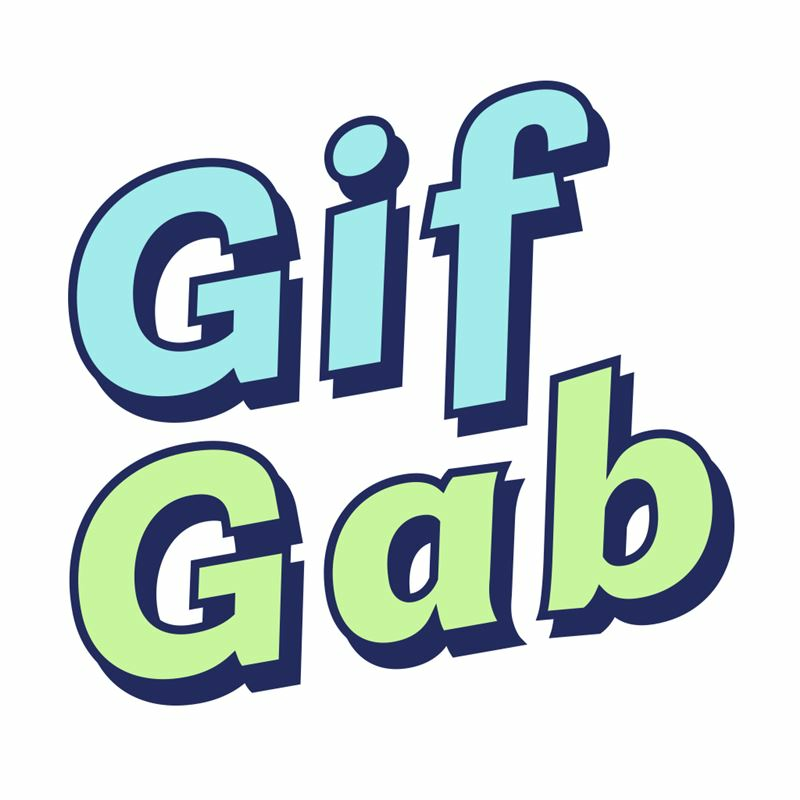 GifGab is a creative utility app for making funny custom GIFs that make people happy -- tailor-made for sharing on social media and texting platforms! 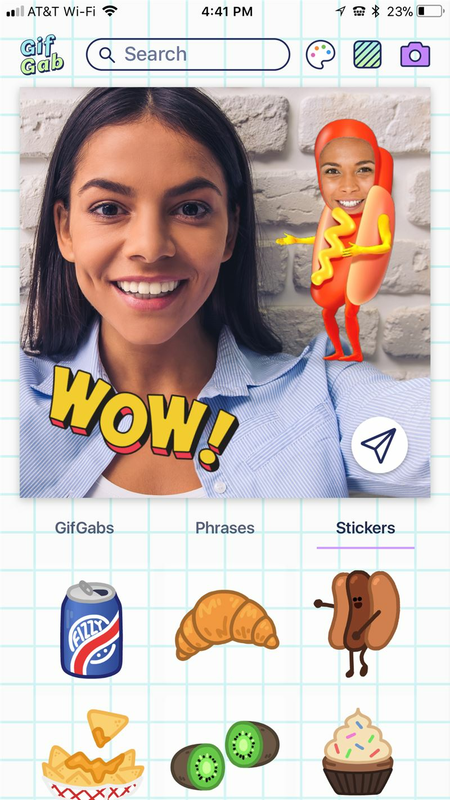 Realizing that digital communication is evolving towards animated messaging, and with the pervasive use of emojis and internet GIFs in everyday conversations, the team at JibJab Media sought to provide a tool that allows users a quick path to crafting quality custom GIFs in a matter of seconds. Not only are these GIFs quick and easy to make, they are also hilarious, expressive and personal. The results are fun, colorful animations perfect for birthday messages, love notes, a casual hello, or everyday jokes to make friends and family laugh. 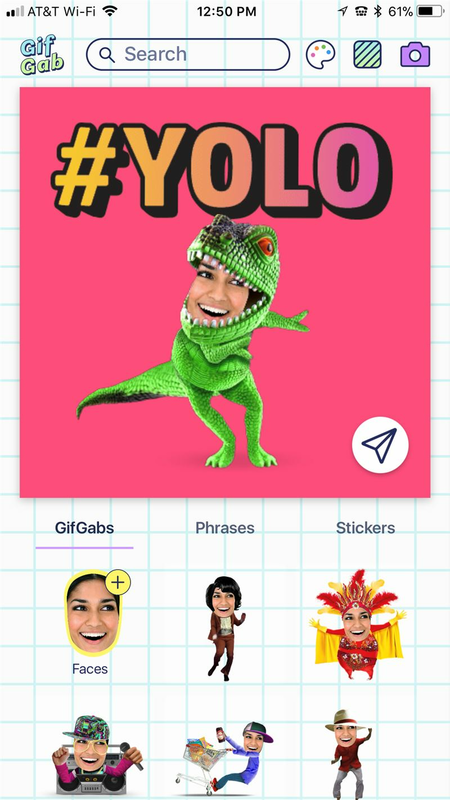 The interface for GifGab has the feel of an arts & crafts table: a sticky-note size canvas on a grid-paper background with a plethora of stickers to collage with. The GifGab inventory of animated stickers is comprised of high-quality content not normally seen in GIFs on the internet.  There are three main content animations: GifGabs, Phrases, and Stickers. “GifGabs" are photo-realistic avatars that users can customize with their own faces or with photos of family, friends, or beloved pets. 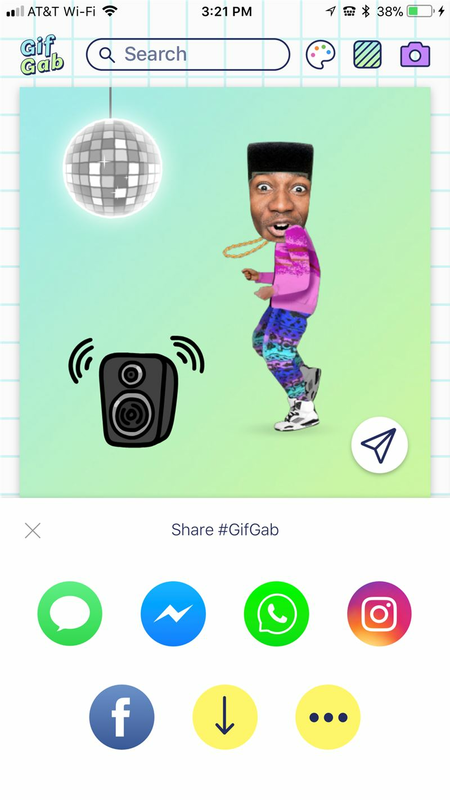 Upon selecting a “GifGab" character, a user is then presented with additional suggested animations to complement their creation, such as well-known phrases and related cartoon stickers. 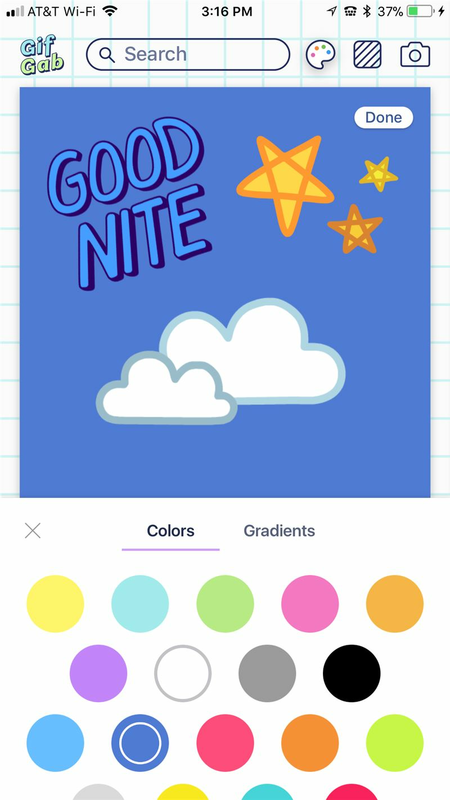 These content options, plus several background choices including colors, patterns, or a user's own camera and camera roll, provide an endless array of fun creative combinations to share in texts or social posts.